I’m rather proud of this recipe. It’s everything a home-cooked meal should be, in my not-so-humble opinion. It ticks all the boxes of being a) healthy b) full of vegetables c) filling and d) scrumptious. It’s also something that will work with whatever vegetables you’ve got lying around. You will need the celery/onion/garlic/carrot ensemble for the full, sweet flavour which contrasts with the earthy lentils, but you could also throw in chopped leeks, squash, sweet potato, bit of spinach, handful of mushrooms. You get the idea. Without dolloping about a kilo of buttery mashed potato on top of this, as I would usually do with a big bake like this, is also a little bit lighter than average, which was no bad thing on the day we ate this as we’d devoured a whole packet of buttery fudge that afternoon whilst reclining on our sofa watching Wolf Hall repeats for hours on end. So here we go – hope you enjoy! 1. Soften the celery, onions, garlic and carrots in the oil in a large pan for a good 15 minutes on a low heat, until they’re really tender. 2. Turn up the heat and add all of the other ingredients. 3. Let it bubble for a few minutes then turn right down and cook on a low heat for around an hour, or until the lentils are tender.4. Grease a large baking dish and pour in the lentils. Arrange the sliced celeriac and swede on top and drizzle with olive oil. 5. Grind some salt over the top, and bake in the oven for around 45 minutes, or until golden. I’m linking it up with Elizabeth’s No Waste Food Challenge, since you can chuck in whatever veggies you have lingering in the fridge – the more the merrier! 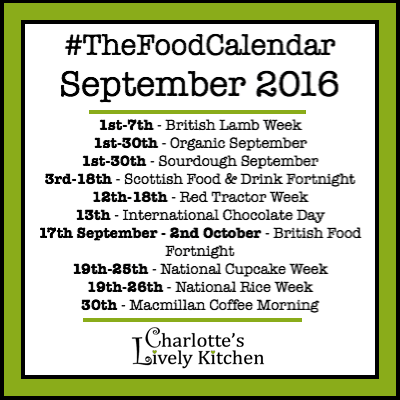 I’m also linking with Meat Free Mondays hosted by Jacqueline at Tinned Tomatoes and Charlotte’s reminder about British Food Fortnight as this is crammed full of British vegetables. This looks lovely and I do like those sliced vegetables on the top too! It’s a lovely original idea. Hi, just to check I’ve got this right – when you say “soften the vegetables” and “add in all of the other ingredients” – I take it at that point you’re not counting (a) the lentils as “other ingredients” and (b) the celeriac and swede as veg? I love the idea of the sliced veg on top – so much healthier that buttery mash. I like the sound of devouring a whole pack of fudge too – yum!